Three days might not be enough time to uncover everything to do in London, but it’s certainly enough time to have an amazing experience in the city. 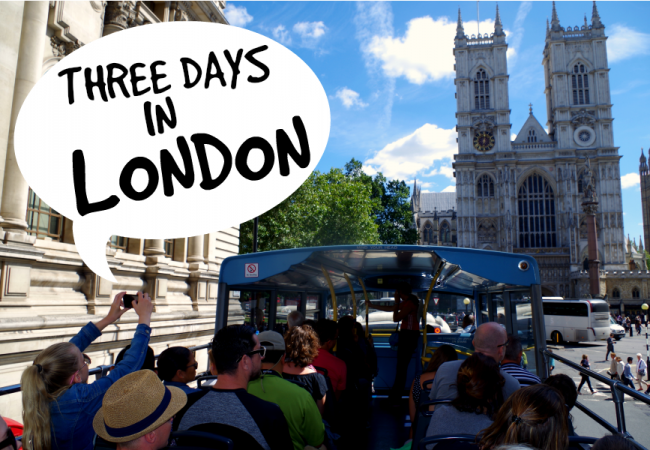 Three days, or a long weekend in London is just enough time to give you a taste of what this city has to offer and leave you planning your next trip! To make sure you get the most out of your three days, we’ve come up with an itinerary that will give you a good balance of the main tourist sites, lesser spotted parts of the city, and even a little bit of UK exploration! Day 1 – A Hop-on Hop-off Tour and a Night at the Theatre. 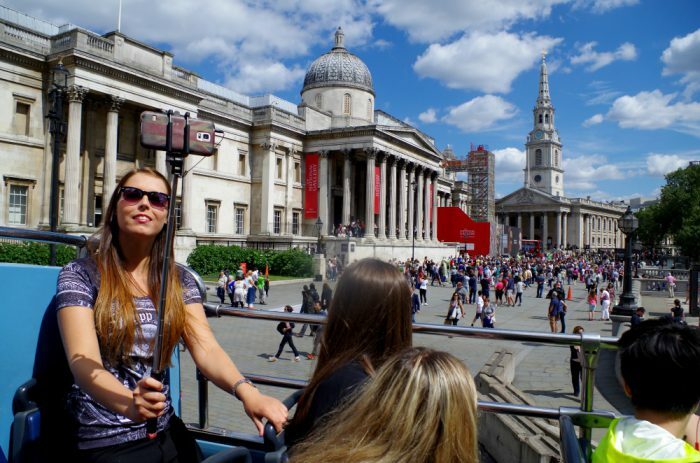 Starting with a hop-on hop-off bus tour of London is a great way to get your bearings and see all the main tourist sites in one go. Our hop-on hop-off service doubles as a guide around the city and a way to get from one place to another. Check out the route map here. During your day exploring the city, it’s also a great idea to fit in one or maybe even two of the big London attractions or museums. If you’re into culture, why not visit the British Museum, the National Gallery of the Tate Modern? If it’s history you’re interested in, the Tower of London, St Paul’s Cathedral or Westminster Abbey are all incredible and if you want fun, try the London Dungeons, Madame Tussauds or Shrek’s Adventure. Depending on queues and timings – we recommend you only choose one or two of these for your first day. Once the evening arrives, one of the best things to do in London is see a West End Show. The shows in London are world-class and record breaking (London is home to the longest running theatre show in the world), so it makes sense to grab this opportunity to see one. The hop-on hop-off service finishes around 5pm, and most West End shows begin at around 7pm – this leaves you enough time to grab dinner before the theatre! Lots of places in the West End do a special pre-theatre menu. Due to the size of the UK, it’s possible to explore a little more – even if you only have one day! 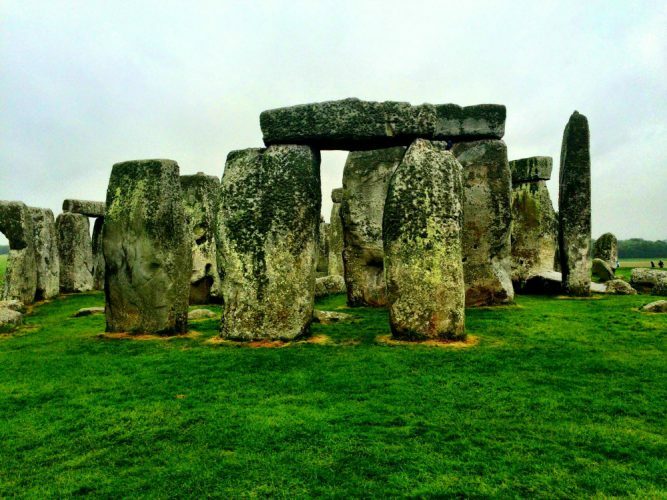 We recommend a day trip to Windsor Castle – the Queen’s weekend residence which is just outside London, Stonehenge – the ancient and mysterious rock structure that is one of the most incredible things to see on these shores, and the Roman Baths in the beautiful city of Bath. See three fantastic UK locations all in one day – the best way to pack as much as you can into your three days. Your third day is for you to explore the parts of London you may have missed on your first day. If you want more sightseeing, but with an itinerary, we recommend the Total London Experience. 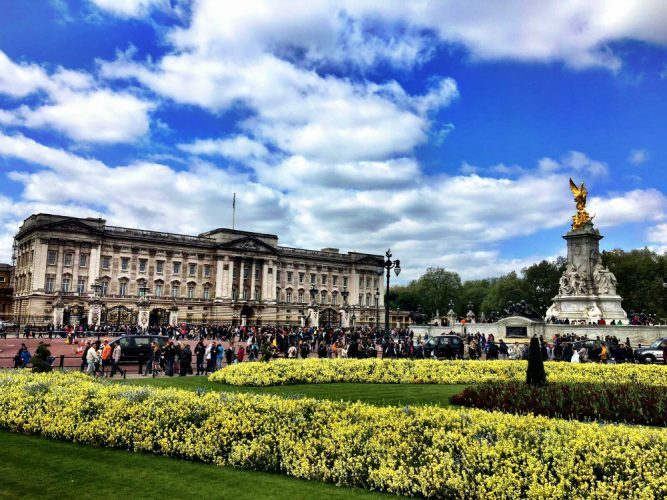 This guided tour of London includes entrance to the Tower of London, a ride on The London Eye, Changing the Guard at Buckingham Palace, St Paul’s Cathedral, a River Thames cruise and a free lunch! If you prefer shopping, you should head towards one of these top shopping destinations, followed by the British traditional afternoon tea. Potterheads certainly won’t want to come to London without visiting Warner Bros. Studio Tour London. It’s one of the highest rated attractions in the city and a dream come true for any fan of the books or the movies. You will need to book in advance and as this magical place is on the edge of the city you might want to set aside most of the day for your visit. 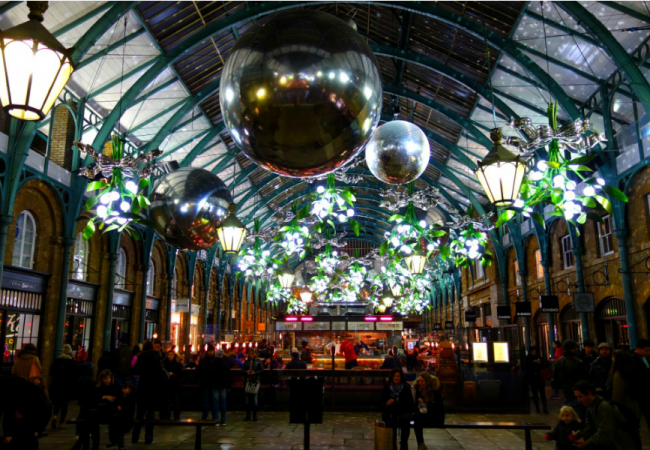 Other awesome places to see are London’s markets – Camden, Portobello or Borough markets are all incredible, exploring areas like Shoreditch or Soho, or visiting London Zoo or one of London’s amazing parks. Whatever you decide to do, one thing’s for sure – you will definitely want to come back! What is your most recommended London activity?